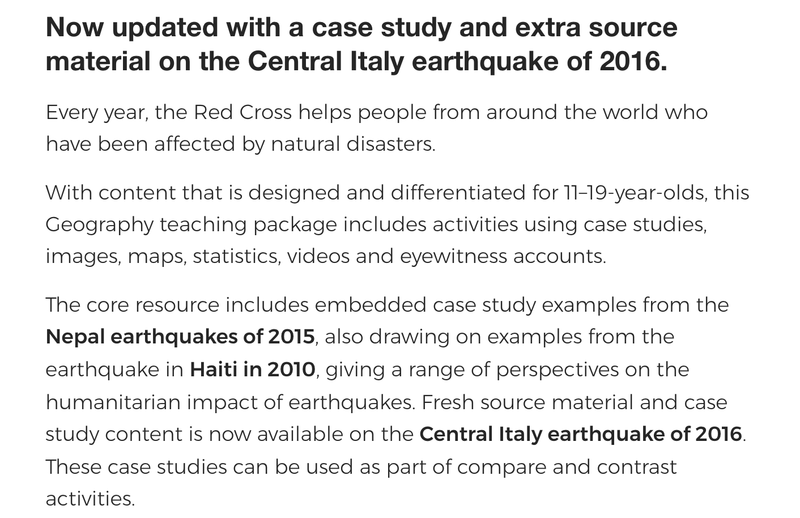 A few years ago, I worked with the British Red Cross to produce a major resource on Earthquakes, based on the Nepal Earthquake of 2015. 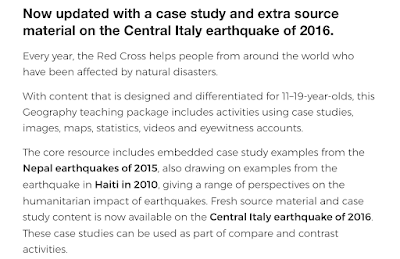 An update has now been added to the resource, focussing on the Central Italy Earthquake of 2016. Check out the new addition and follow the link to download the whole resource pack, which runs to over 100 pages, with accompanying downloads and materials.